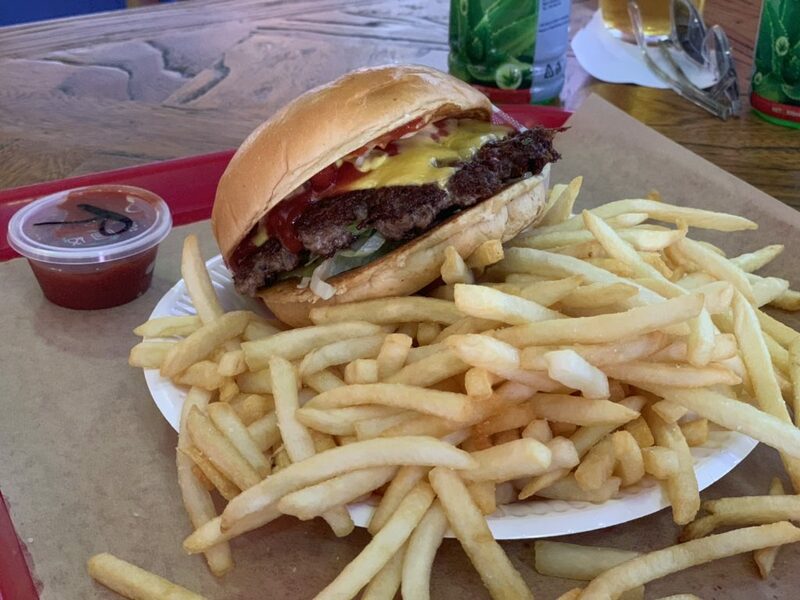 Okay, so awhile ago I wrote an article for So Perth on the best burgers in Perth – and I was told by many readers that I forgot one very important addition: Hoodburger in Northbridge. So while the article was already published, I made a mental note to try it out at my earliest convenience. The first opportunity was for Jeremy’s birthday, where we had drinks at Henry Summer then made our way to Old Shanghai for a feast of epic proportions (that involved with me taking home more than half our meal). Fast forward a couple months and I was back with my work crew on a sweltering afternoon for lunch (and terrible snaps under the awkward shaded roof). The burgers here are pretty epic, especially when looking at the portion size. 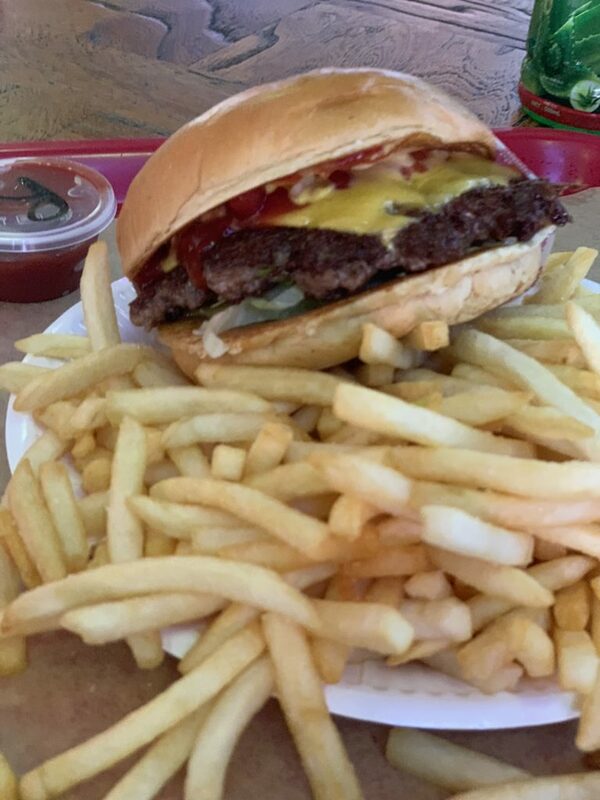 A pro tip if you’re ever headed there: share your fries. The picture above is literally one order of them – they’re extremely generous. My first time there I tried a cheeseburger, which was excellent. The patty is hand formed so has some good nooks and crannies to get crispy parts while still being pink in the centre. I liked the level of seasoning, and the meltiness of the cheese. 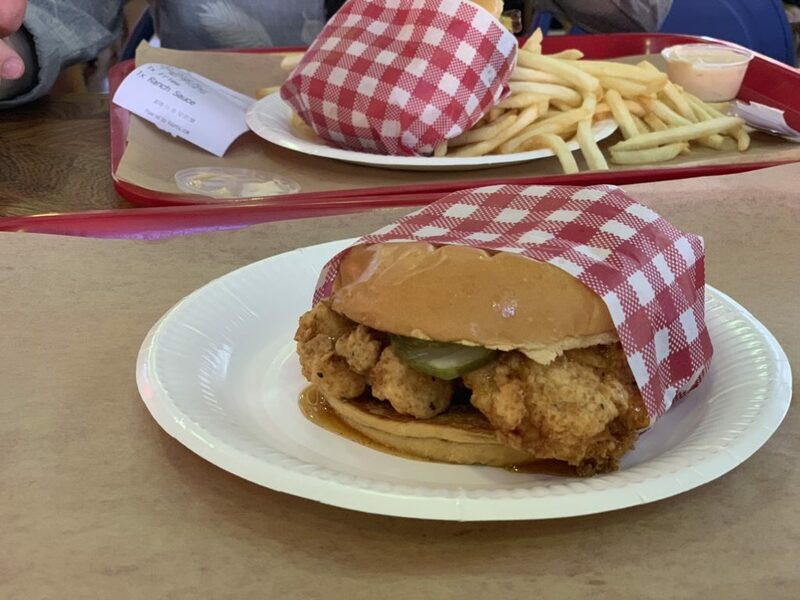 Jeremy really liked the buns, which are less oily than other burger joints which tend to favour brioche rolls. I think I prefer the alternative, but I do agree with him that these managed to stay together better and contain all the ingredients inside. I also really liked the chicken tenders – which again, are huge! I wouldn’t recommend adding one on with fries and a burger unless you have a big appetite as they destroyed me. Luckily these guys are all too happy to supply take away boxes so I brought it home and snacked on it throughout the night, which is actually a bit of a win if you ask me. 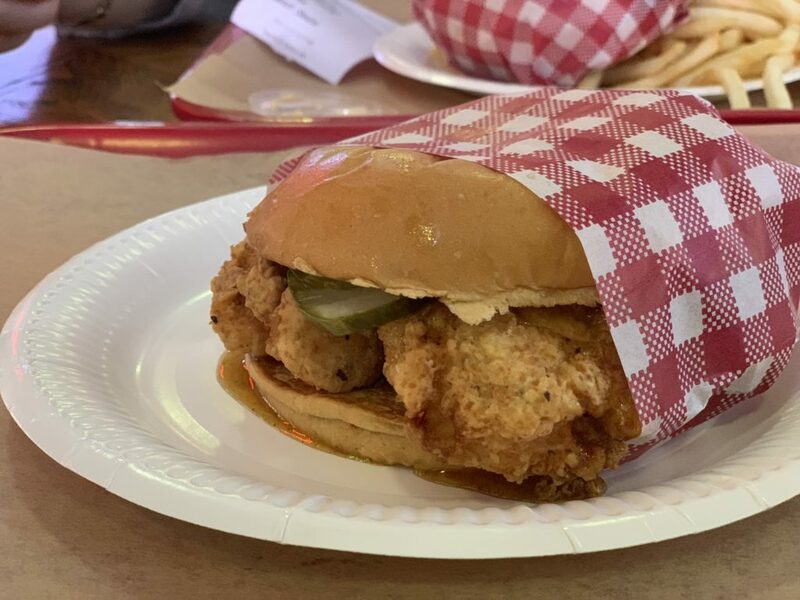 My second visit I decided to try something different and went for the honey butter fried chicken burger with pickles. I always gravitate towards beef burgers, so while I’m glad I tried this, my heart definitely lies with the cheeseburger option instead. This was sticky and sweet in just the right way, with the chicken still retaining moisture and crunch on the outside. 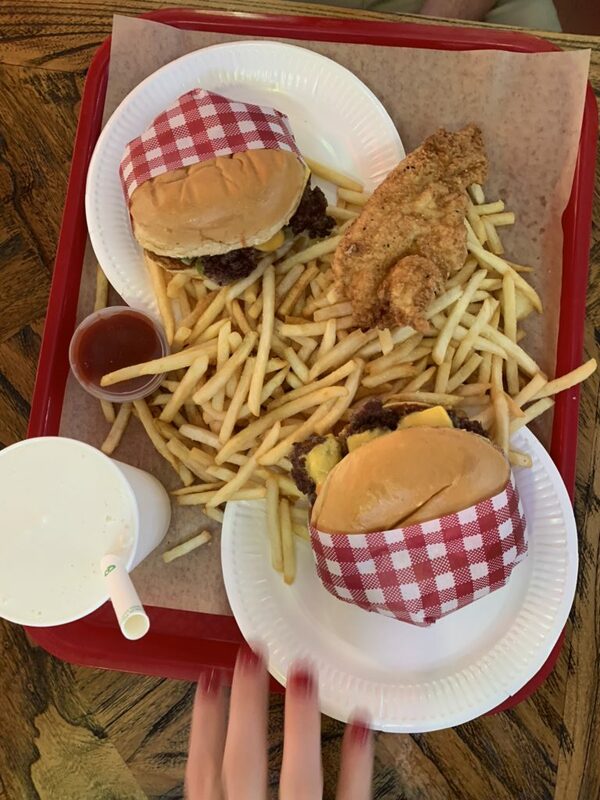 It went down a treat, and this time around I was smart enough not to order fries to myself but steal them from others (with their permission of course). 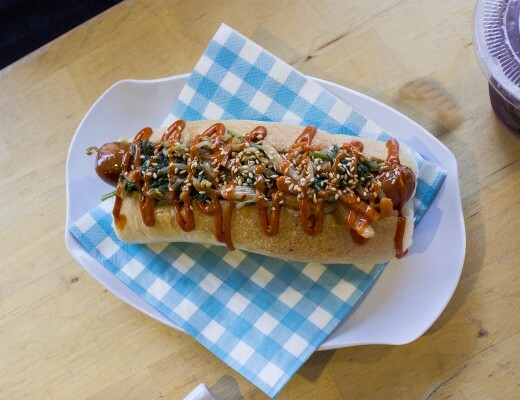 As if having another burger joint to choose from isn’t great news in itself, Hoodburger are also doing some exciting stuff beyond what they’re slinging out of the kitchen on a daily basis. Tuesday nights here are called test nights, which is when you’ll find the likes of nasi lemak burgers, teriyaki glazed burgers and the one I wish I’d tried the most: cheese katsu burger. Considering this is the same team that were behind the delicious Tiger Bao, they’ve definitely got a deft touch in the Asian flavour game, so I’m interested to try their offerings in this space. Will definitely need to pencil this one into my diary and head down – I can’t believe it took me this long to try them!